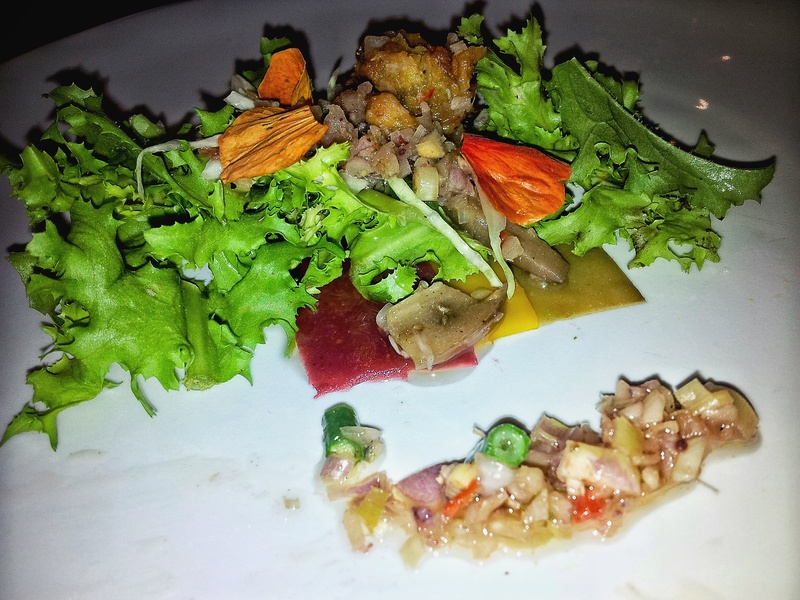 A Chef’s Collaboration Dinner with Kayumanis Resort Hotels, Bali – Why Waste Annual Leave? Have you ever attended one of those swanky parties, where champagne flows freely to wash down the oyster canapés inside the walls of iconic hotels; the same parties that leave you saving up your best cocktail dress, forking out on a blow dry and motivating even habitual flat-shoe bearers like myself to dig out our heels from the dust? Over here in the public sector though, those parties? Not so much. 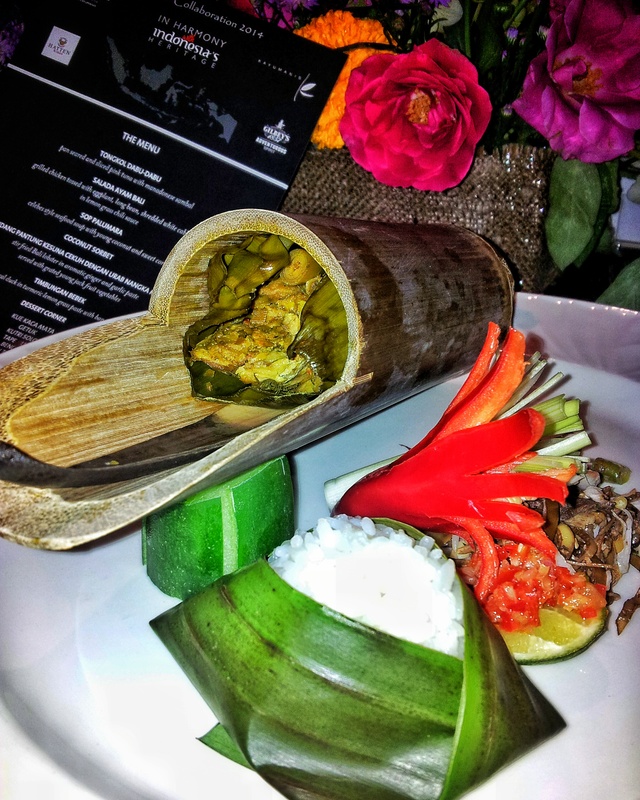 Last year, as if visiting the lush island of Bali was not a fairytale enough, the incredibly warm-hearted team at Kayumanis Resorts made it even more of a reality, when they invited me to attend the annual Kayumanis Chef’s Collaboration Dinner. But unlike Cinderella, I arrived arm in arm with my prince, there was no curfew and the dress code was more Batik (traditional Indonesian print) and less glass slipper. Unfortunately, I did not have time to purchase a Batik dress but they were more than accepting of my conventional Western attire. 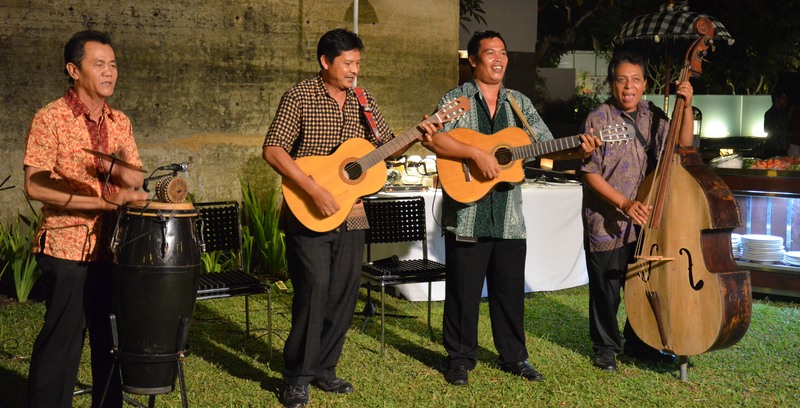 This exclusive, private event is usually only for senior members of the Kayumanis group, the travel industry and media professionals across Bali, Indonesia-wide and further beyond and last year’s function that we attended was held at Kayumanis Nusa Dua. The Chef’s Collaboration element of the title refers to the way in which the most experienced, creative and skilled chefs from the different Kayumanis properties come together to prepare their most prized and renowned dishes so you can be sure it will be an epic night of gourmet mayhem. 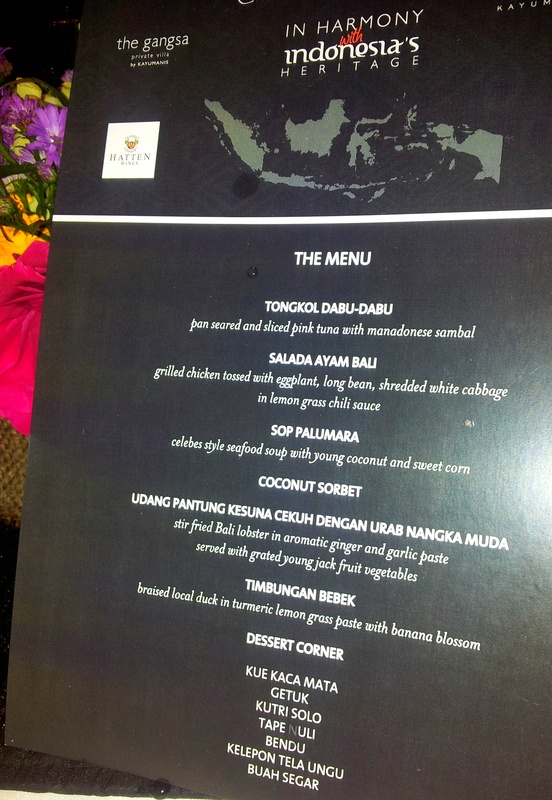 Given the incredibly high quality cuisine we had experienced the previous two days at Kayumanis Jimbaran, where we were staying, the prospect of this feast had our mouths watering all the way to the event. 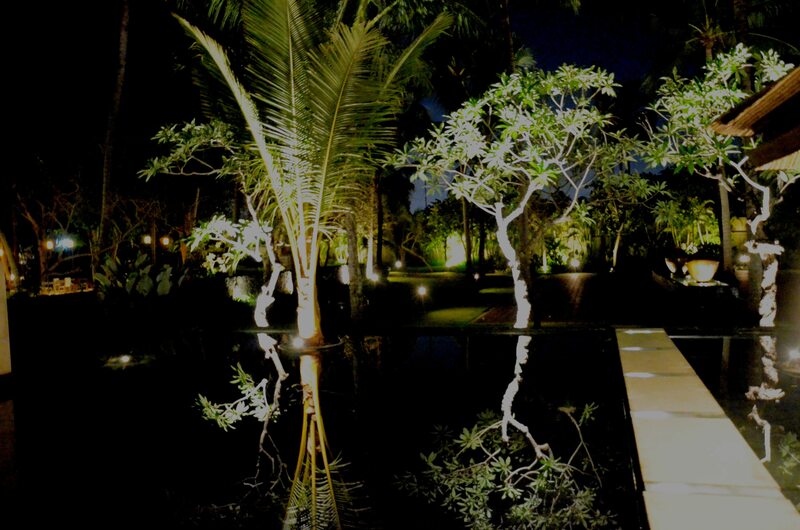 We arrived after dark, to a balmy outdoor drinks reception, where we were introduced to members of the Kayumanis team – or family as they endearingly prefer to refer to themselves. 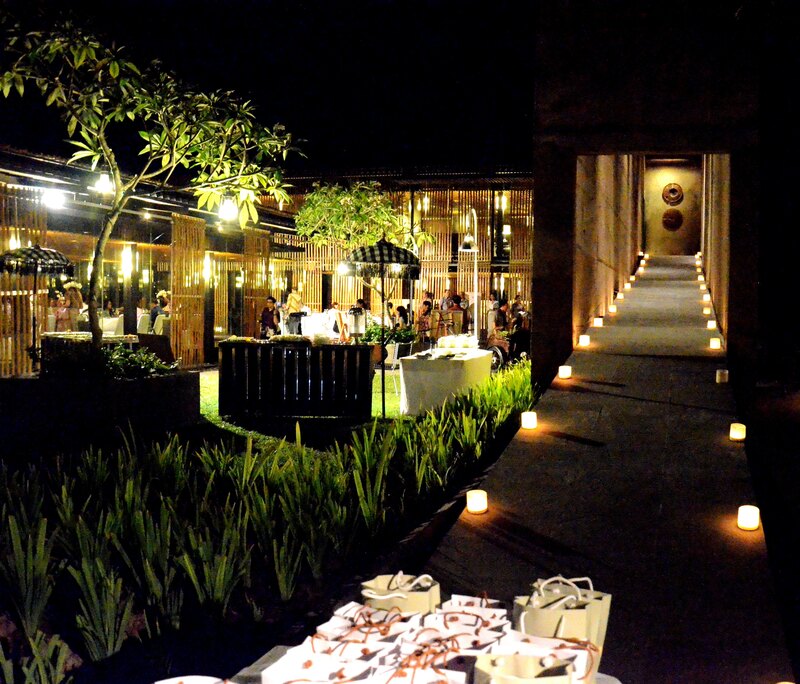 After a few formal photographs were taken, we could not resist walking around the hotel grounds, with the floodlit pathways providing a romantic ambience, whilst traditional Balinese music was played by a live band. We felt rather humbled to have been seated at the top table, as it allowed us an opportunity to meet with many of the key figures in the group, who have worked so tirelessly over the years to make these properties so luxurious, welcoming and homely and if you want to understand why it was one of the best properties I have ever experienced, check out my first impressions of Kayumanis Jimbaran or have a peep inside our luxury private pool villa and hopefully I can convince you. I was seated next to a lady, originally from Australia but who had settled and married in Bali and who shared fascinating stories about her experiences with me. Drinks flowed freely all night with no restriction on type or quantity so you can imagine how merry the guests were starting to feel after a few hours. Meanwhile, as I happily sipped away at my mocktails, I was able to relieve Pumpkin of his photography-assistant duties for the night to allow him to enjoy the last of this magical evening. 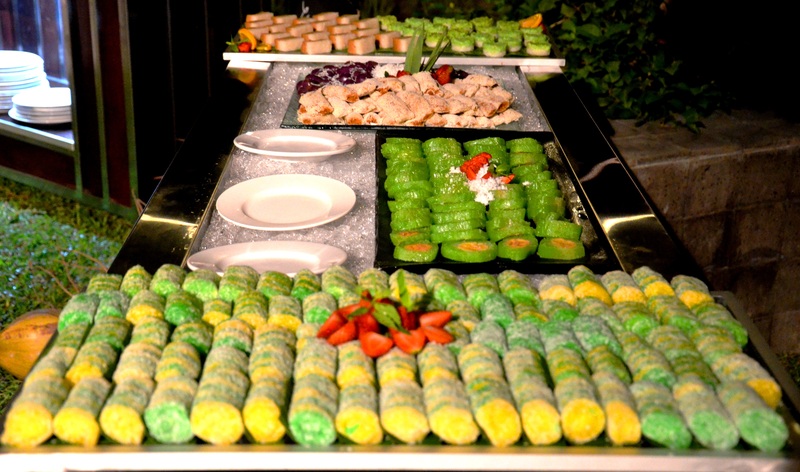 After the savoury dishes were completed, we were invited up to the dessert buffet and throughout the evening, the courses had been interspersed with speeches and competitions. Pumpkin even managed to win one of the raffle prizes and we found ourselves the lucky recipients of a spa voucher. Unfortunately, as we were departing Bali the next morning for Singapore, we were unable to use it and despite the staff insisting we keep it till we return to Bali one day, I ultimately offered it to the lady I had been chatting to for so much of the evening. In the same way that so many conversations come with their own unique randomness, I somehow got talking to someone at the event about mortars and pestles (a few years ago, this is exactly the sort of conversation I would have teased my Mum about having!) I was told that solid, high quality ones are available readily at traditional markets in Bali but again, I put that thought to one side, since we were leaving so soon. 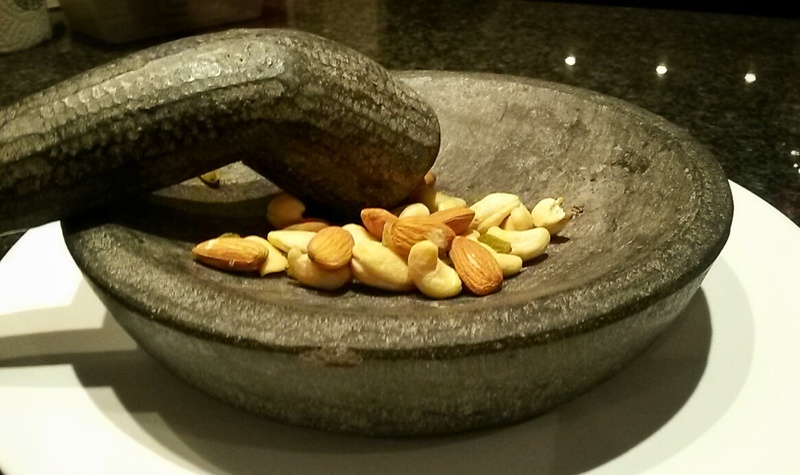 Imagine my surprise the next morning then, when the doorbell rang at our villa with several members of staff turning up to wish us well, bearing a newly purchased mortar and pestle for me to remember them by. Perhaps the most surreal moment of the night happened after speeches, desserts and formalities had come to a close and guests were starting to let their hair down. The live band was showing no signs of slowing down and I was asked to select a song. Captivated by the magical moments we were experiencing, the first one that sprang to mind was our wedding first dance song (ever the hopeless romantic.) Given that it was a well-known Elvis number, they started belting it out within minutes and I remembered every move of the choreographed dance we had rehearsed so many times in our living room. Now, I have mentioned before in this post how much of a man of practicality Pumpkin is. A little shy by nature (and clearly not intoxicated enough), he was mortified that I was proposing we get up and dance right there in front of everyone but before I could persuade him, a Japanese businessman, who had been sitting on our table grabbed my hand enthusiastically and started twirling me round in circles. Meanwhile, his female business partner, feeling a little left out, stood up keen to dance herself. It was one thing Pumpkin saying no to me, knowing I will love him regardless, but to turn down a request for a dance from a woman who was asking so politely, I reminded him, would be most un-chivalrous. So somehow, on our last night in Bali, we each found ourselves dancing to our wedding song with unknown Japanese business associates rather than each other! We had such a memorable evening at the Chef’s Collaboration Dinner and it was the most perfect way to say goodbye (for now) to Kayumanis and to Bali, a destination I already dream of returning to. Have you ever been to event that had a funny or surprising ending? 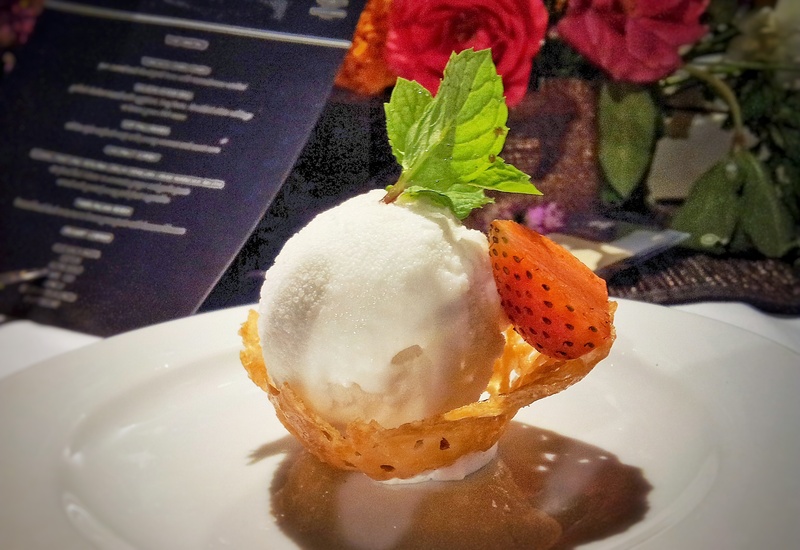 Disclaimer: We were guests of Kayumanis Resorts for the Chef’s Collaboration Dinner but I am an opinionated little traveller and I am not capable of raving about something this much unless I truly love it. All views, good or bad, are entirely my own. What a wonderful event to be invited to. 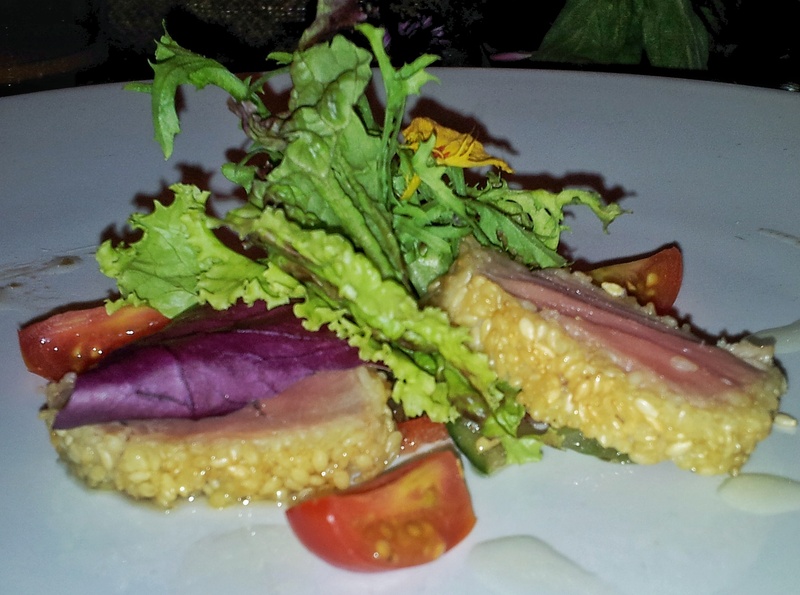 Balinese hospitality is just incredible! It was SO kind of them Emily – I still can’t believe they went to the effort to grab it so quickly to give to us before we left and it’s lovely to have items in the kitchen and home that come with their own memorable story ☺ And yes, certainly a surreal ending to the night! 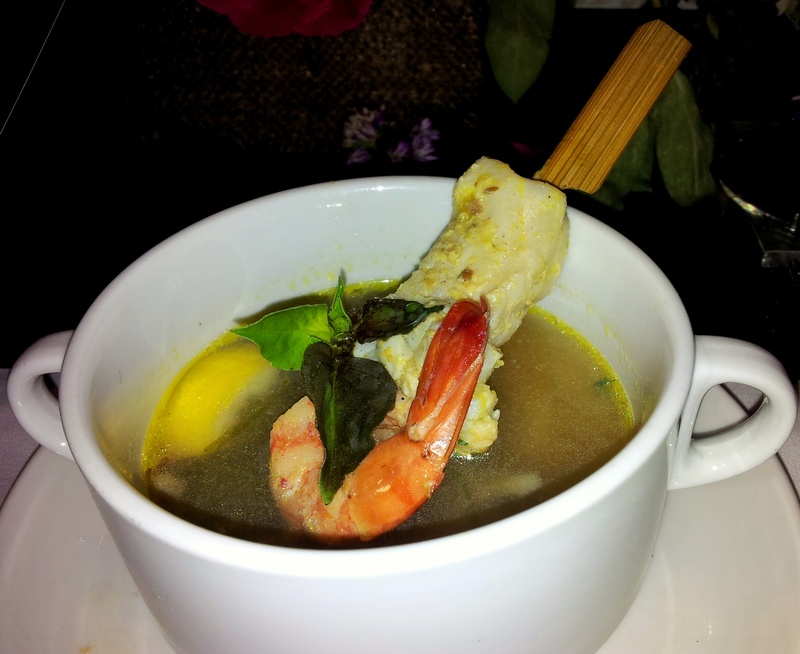 I still remember my food adventure in Bali. Truly amazing food. 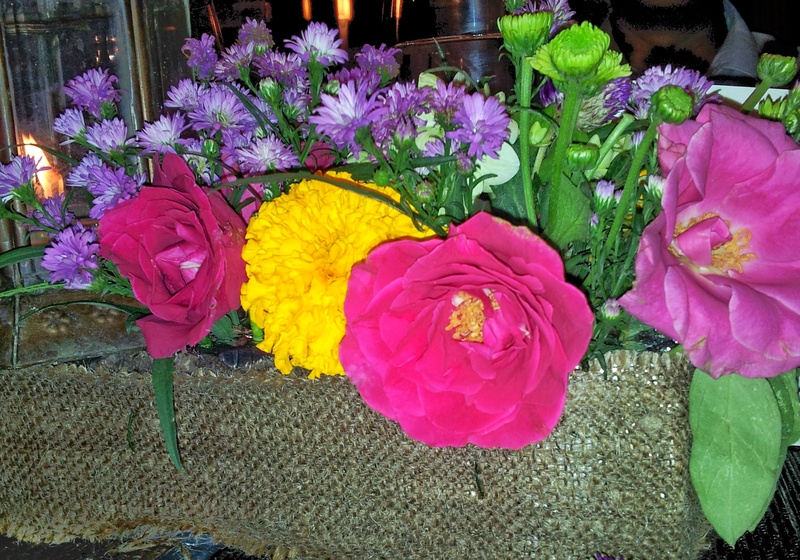 Especially when rice served with veggies and beautiful flowers. Your food looks also stunning. Yummy! Wish I could return to Bali now! Me too Agness! I want to return so much, it was really one of my favourite places. 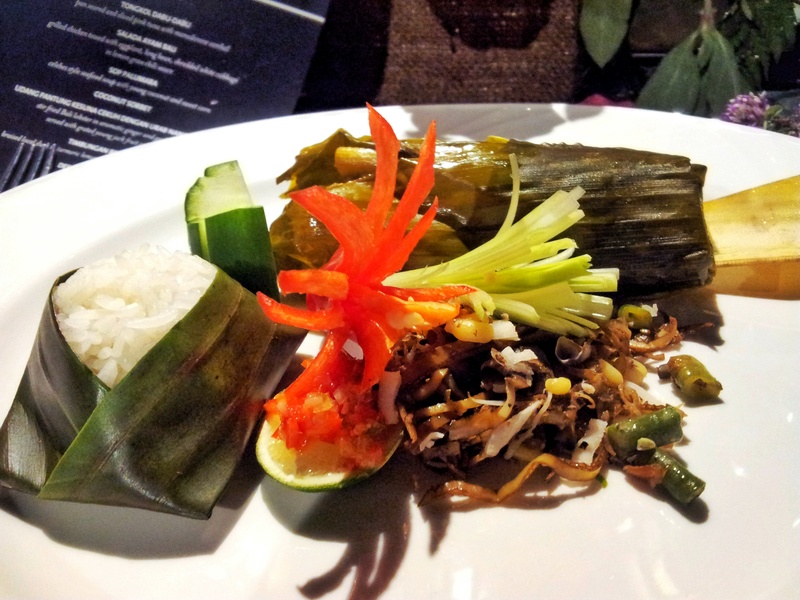 Balinese food is so fresh and flavoursome – I’m trying hard to see if I can find similar dishes somewhere or the other here in London! I am so envious! 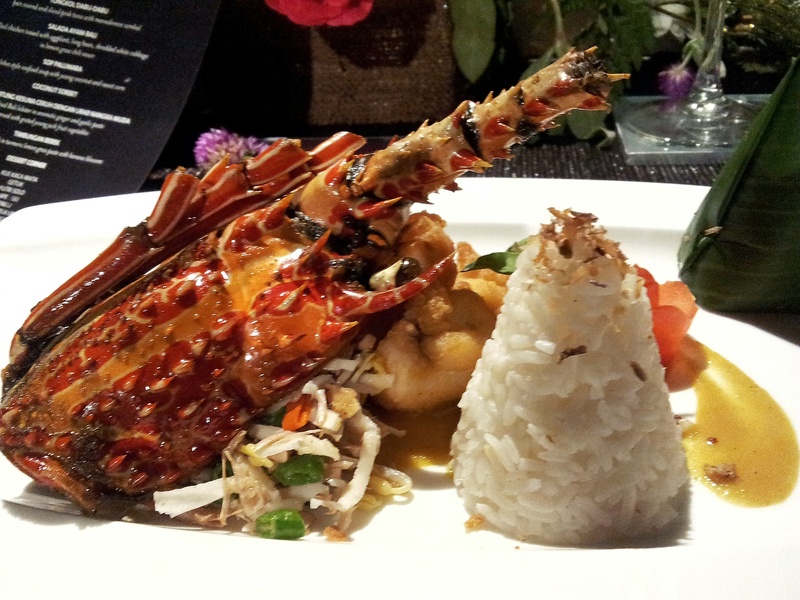 I really want to go to Bali and this dinner just looks fabulous! 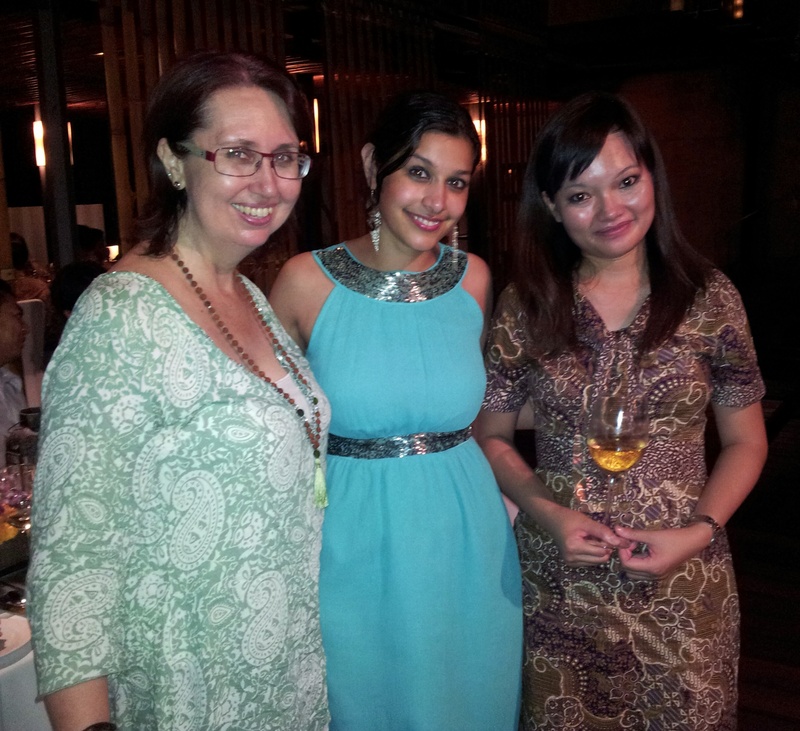 You looked lovely in your blue dress Shikha! Aww thank you Ash! That’s soo kind of you to say ☺ The dinner was pretty epic – I was glad dessert was self service as I was getting extremely stuffed by that point! Bali as a destination in itself seems to get a lot of mixed comments but personally, I absolutely loved it! Hehe, thank a Suze! It was a rather hilarious moment finding ourselves both dancing to our wedding song – but not with each other! What a wonderful night of old, and new memories! It looks like you had a wonderful time. And the food really looks amazing. 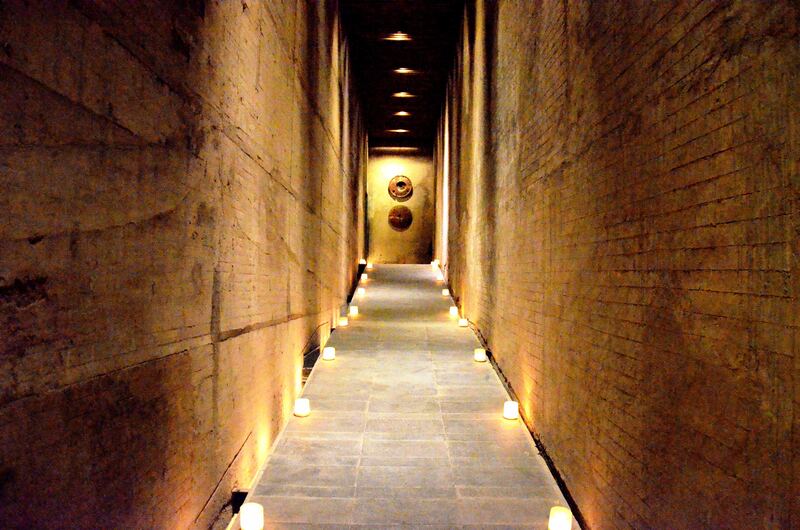 I wish I’d known about this hotel before I visited Nusa Dua a few weeks ago! I’ll have to check it out for next time. We’ve stayed at both the Kayumanis Nusa Dua and Kayumanis Ubud in Bali – and they’re such special properties! Maybe you’ll allow us to give the link to our short blog post on them? http://www.sandinmysuitcase.com/kayumanis-villas-bali/. Even though we didn’t attend a chefs collaboration dinner, we remember the breakfasts and afternoon teas (which the butler delivered to our villa in wicker baskets). And the people and staff are so warm and friendly there. Loved this post and especially the irony of dancing to your wedding song with anyone but your other half – it’s hilarious how these things happen. 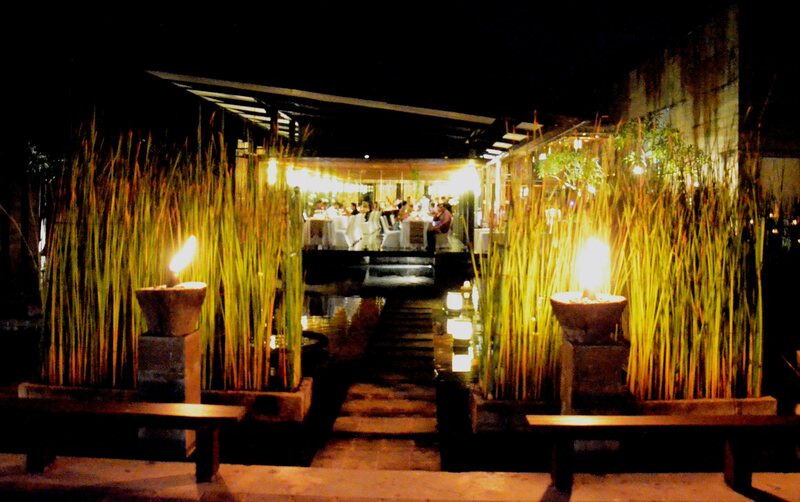 Sounds like you were treated fabulously – I was really impressed with the hospitality in Bali – it’s those extra touches which really makes those trips unrivalled! Thanks so much for your lovely comment Reena! I completely agree with you about the hospitality culture in Bali – they have to be some of the friendliest, most welcoming people I’ve ever met & they really go the extra mile for tourists & visitors. And yes, that moment of dancing to my wedding song with the Japanese businessman was utterly surreal!